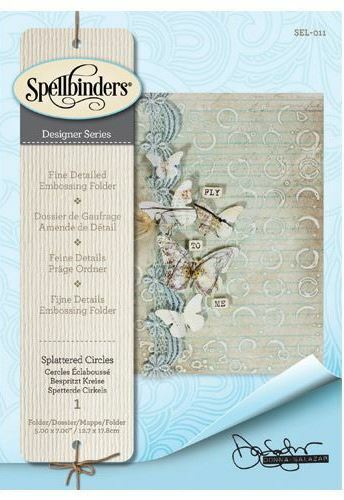 Spellbinders® Em-bossing Fold'ers offers options for your beautifully detailed embossing and letterpress creations. Donna Salazar is a wife, mom, grandma, artist, designer, instructor and a kid at heart. Her playful nature comes across her products and classes because she believes art should be FUN! She is known for blending contrasting elements to create what she calls her Girlie Grunge look. The sandwich for Single Sided Em-bossing Fold'ers™ in Spellbinders® Platinum™ Machine is: Platform, Embossing Folder with medium inside and One Cutting Plate. ;Project Types: Perfect for scrapbook pages, cards and mixed media projects.